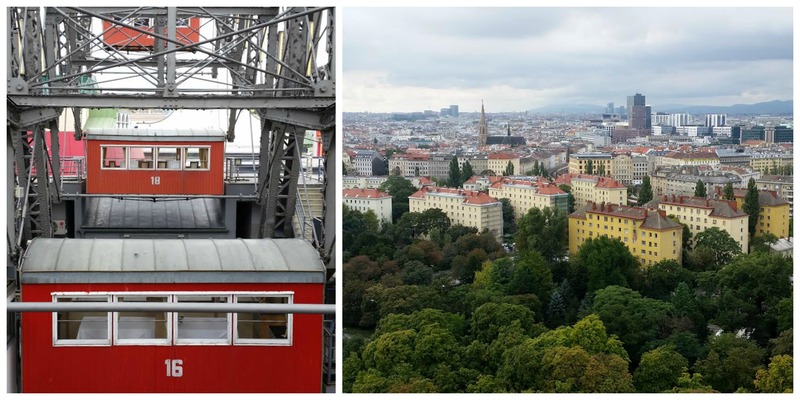 I recently had the wonderful opportunity to accompany my husband on a business trip to Central Europe. This was Steve’s 2nd time traveling to Europe but I had never been so it was a new and exciting adventure for me. 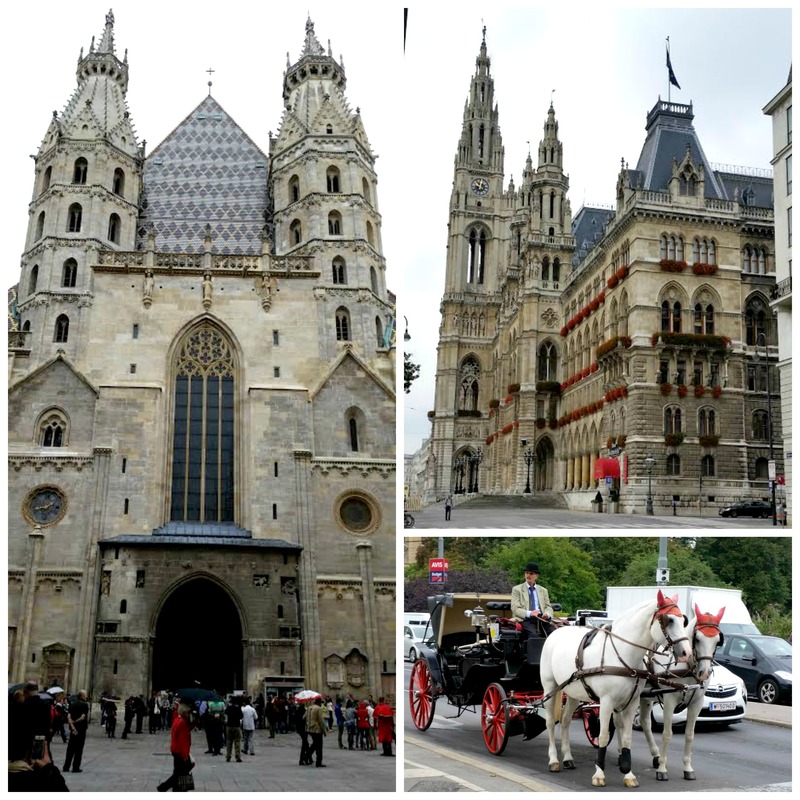 We first flew into Vienna and spent a few days there before continuing on to our destination in Slovakia. 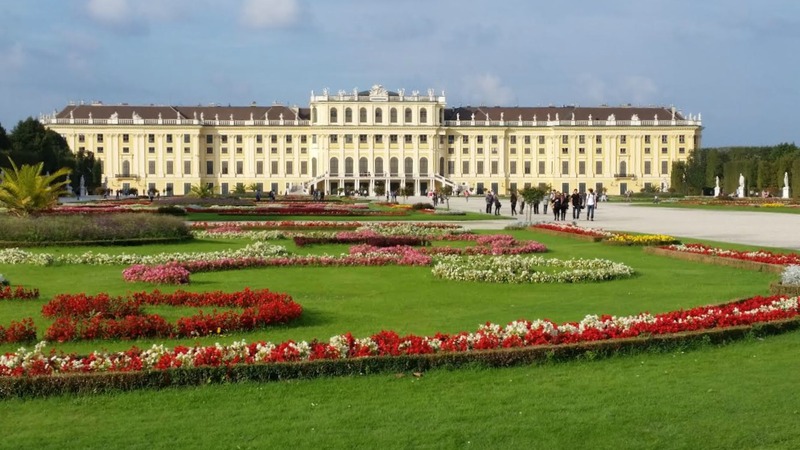 We had just enough time in Wien to visit some of the most famous sights, such as the giant ferris wheel, Weiner Riesenradplatz at Prater Amusement Park; Griechengasse, a cobblestone street in Vienna’s Greektown; Schönbrunn Palace, summer home of the Imperial Habsburg family and their beautiful Lipizzaner Stallions; and Stephansplatz, a square in the center of Vienna that is full of shops and restaurants and the amazing St. Stephen’s Cathedral. Stephansplatz is a great place to shop for souvenirs before departing Vienna. One of my favorite, yet simplest of sightseeing experiences was a visit to Cafe Sacher for the original sachertorte, a dense chocolate cake with two layers separated by a thin layer of apricot jam. We had ours with a Melange (basically a cappucino) and it was wonderful. 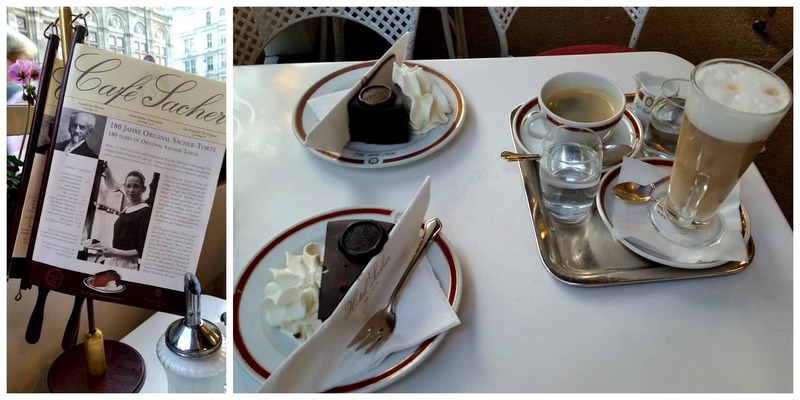 The Cafe Sacher is located on a bustling corner on Philharmoniker Strasse4 in the bottom floor of the Historic Sacher Hotel and just behind the Vienna State Opera House. 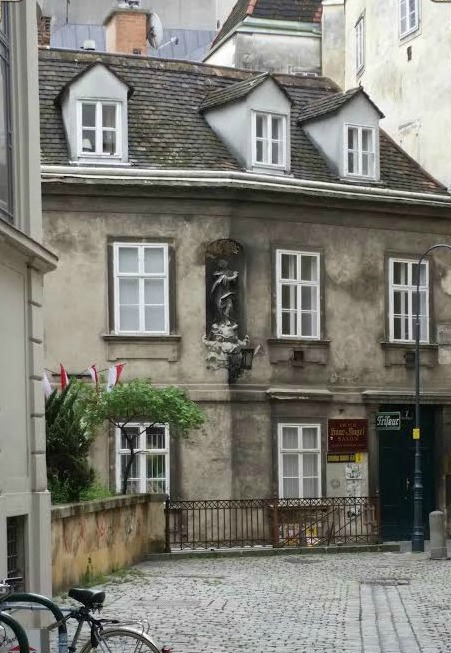 This is a great place to experience Austrian coffeehouse culture at it’s best. From the opulent cafe decor to the vibrant sidewalk seating it’s no wonder so many famous people in history frequented the Sacher Cafe, Hotel and Restaurant. 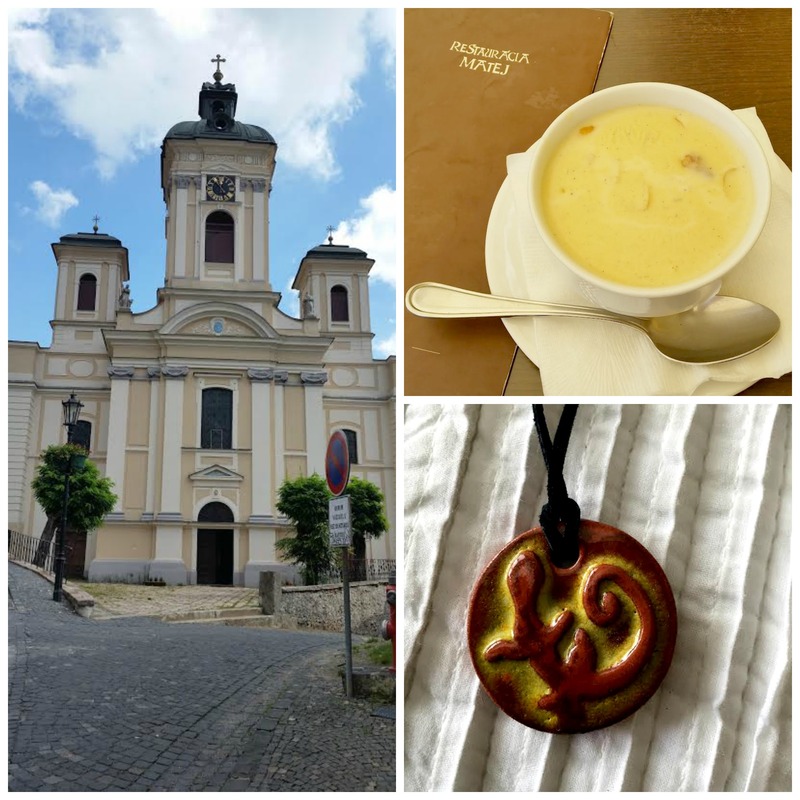 After a couple of days in Vienna we headed to neighboring Slovakia. While Steve worked I spent my time sightseeing. 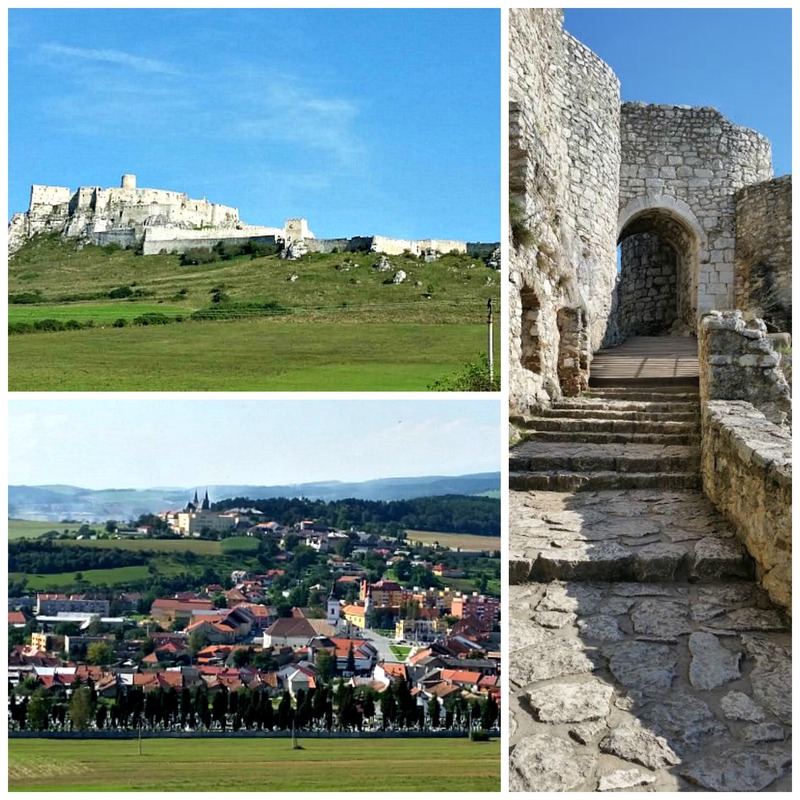 First on my list was to tour the medieval Spis Castle, Spissky hrad, in Northeastern Slovakia. It is one of the largest castles in Central Europe and dates back to the 12th century. The castle sits atop a hill and the view of the valley and village of Zehra below is absolutely stunning! There is an audio tour of the castle and cost is only 5 euros. The drive to Spis Castle takes you through the beautiful town of Levoca, Click here, The town centre is surrounded by a fortified wall and gatehouses and is home to many beautiful Baroque and Renaissance style buildings including the Roman Catholic Parish, Town Hall and Monastery of the Minorities. 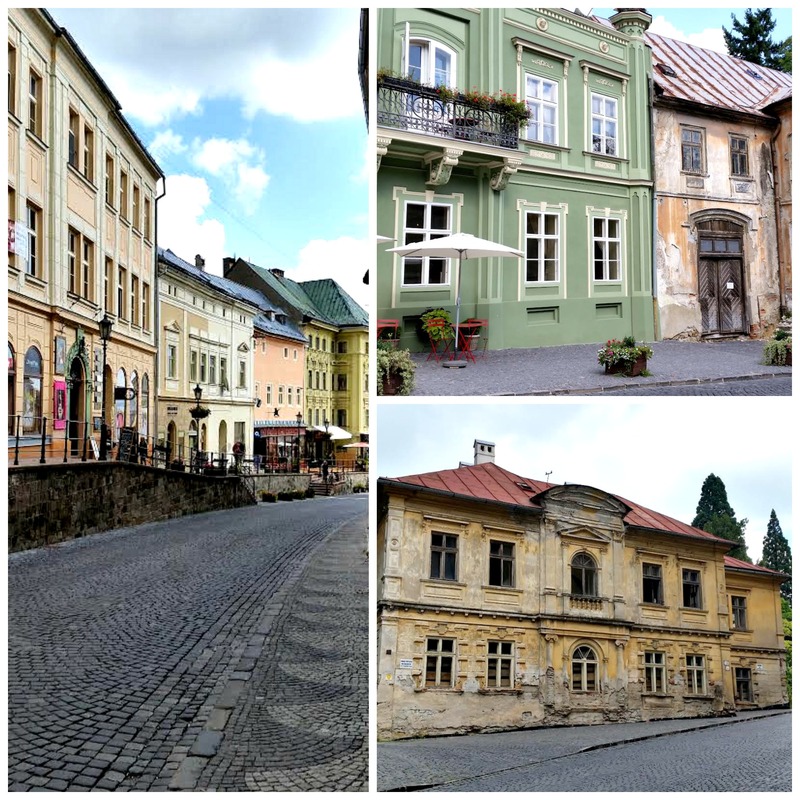 The best part of the trip was my visit to Banska Stiavnica, a medieval mining town only about 1/2 hour from where we were staying. The town is located in the Stiavnica Mountains in the middle of a caldera that was the result of the collapse of an ancient volcano. 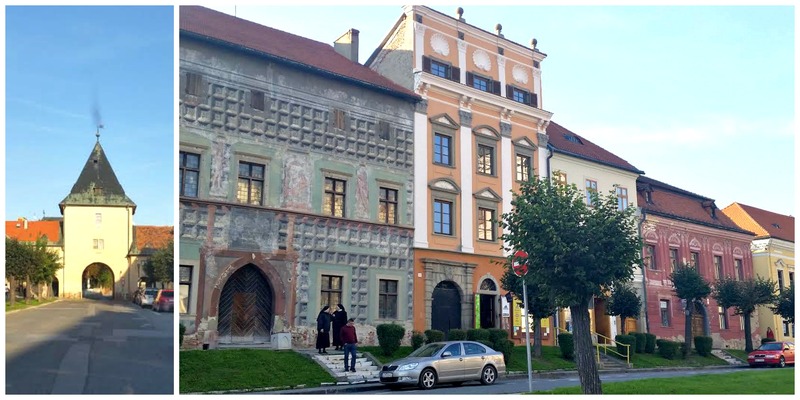 The medieval castles, cobblestone streets, stores and homes are very well preserved. My imagination ran wild as I walked the streets, toured the castles and ate in the restaurants. It felt so odd to me that modern day residents live in a place with such ancient beauty and complex history. I had to wonder if they looked at their town, the architecture and gorgeous countryside as I did? I enjoyed the quaint community and meeting its residents so much that I returned a second day to soak in all the beauty and history the town had to offer. For lunch I stopped for a salad and bowl of cream soup. 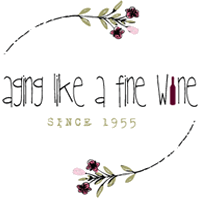 Restauracia Matej is a family friendly restaurant located in the heart of Banska Stiavnica and has indoor and outdoor seating. I chose to sit on the quaint patio right across the street from the Church of the Assumption of the Virgin Mary. On our last day in Slovakia, Steve and I stopped again so we could buy souvenirs made by local artisans. We met two artists selling their wares in the town square. They spoke English so it was a wonderful opportunity to talk to locals and purchase an authentic handmade gift for our kids. Slovakia is bordered by Austria, Czech Republic, Poland and Hungary, all within a couple of hours drive so there is so much to see and do. One week just wasn’t enough time, but I’m so grateful to have seen and experienced the beautiful country of Slovakia and its wonderful people.